Yes I know this blog is named for gruel but as you may notice these days in mostly wine. Don’t worry I will add a pie, time to time. Gruel is ugly. Sometimes my food is too. But sometimes the ugliest food is the heartiest most satisfying stuff to be munched upon. Food that is good for the soul. It may be gruel, but it tastes scrumptious.. Gruel is food with attitude, food with character. Food for real people with real appetite. Wow, that’s so pretentious of me to say in the hip/bourgeois way…Meow. Oh, and my gruel is always vegetarian. I’ve been one since the age of twelve. Huge animal lover. I don’t lecture people who want to eat meat though-different bodies need different things. 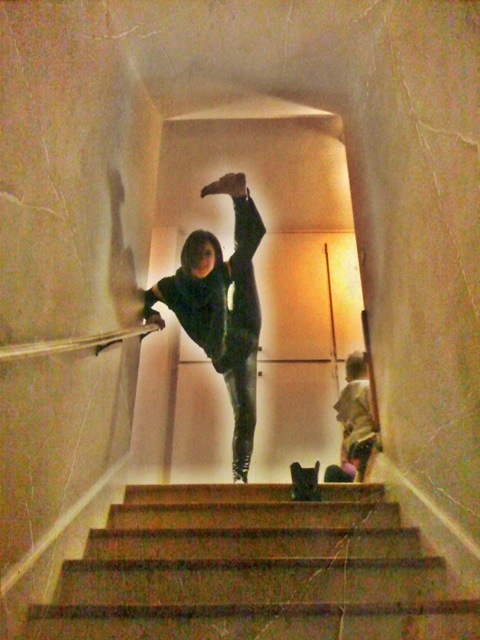 I also at times write a bit about what is up in my nutty actor/dancer/contortionist life here in LA. It’s too crazy not to. Until then, get yourself some gruel and chow down! Like a mofo. Yup, new follower. You’re awesome. I’m a non-lecturing vegetarian as well. Happy to say I will definitely be back! Too funny! Another Ellen in the kitchen. Looks like we have more in common than just an old lady name, too. Love your blog! Thanks for stopping by! My pleasure, I’ll look forward to seeing what kitchen shenanigans other Ellens are up too! Thanks for commenting, you have a lovely weekend too!